With over 1.5 billion active monthly users, YouTube is one of the most popular social media networks in the world. Growing a large audience on this platform isn’t an easy, and those who already have a steady audience base are probably wondering how they can keep their attention in this noisy space. Growing an audience on YouTube is still possible! It takes a combination of consistency, quality content, attention to detail and adaptability to the constant changes to the platform. Follow these tips and you’ll be well on your way to building an audience who love your content and engage with your brand. Okay, we don't know how long this cool hack will last but make a list of your top performing blog posts. If you haven't already created videos related to this content, do it. Publish the video to YouTube but then embed it into your old blog post. If you continue to get decent traffic to these old blog posts you will find that your videos will be getting similar amounts of traffic too! Not only that, but Google wraps up this content up into your existing SEO, so if you do a search for the video on Google Videos it'll get a better ranking thanks to your blog post! Note: This hack really only works if you have a good, steady stream of traffic coming through your blog. When you're trying to build an audience it's important to remain top-of-mind. To do this you need to publish regular content on a consistent schedule. Read about how often you need to post on other social networks to earn maximum engagement. This is a huge time commitment to make, so ensure that your schedule isn't too ambitious. Quality content should always be your focus over quantity. Start small and build up over time. Building an audience is harder than ever before - especially when there's so much content already out there. Rather than publish something generic, try to think outside of the box, and create videos that are centered around a niche topic. Use the resources listed in this article to help you conduct some research on topics your target audience might be interested in learning more about. Keywords play a big role in search optimization, both on your blog and in your videos. Your keywords should be included in your title, descriptions, and tags. Make your title actionable and thought-provoking so that people scrolling in the YouTube feed will want to watch your video. Your video description should be at least 250 words. Don't stuff it with incoherent keywords and nonsensical text. Describe what the video is about in a way that engages humans, not algorithms. Tags help you categorize content so that it's easier for your audience to filter by content they enjoy. Only include tags relevant to your video. You might have seen beauty vloggers use the first 10 seconds of their video to show a quick look at the end-result of their tutorial. How you use these crucial first seconds in your video will determine if viewers stay or bounce. Gone are the days when you want to put your logo first. Our attentions spans have dropped dramatically, and we're too busy to sit around wait around for the real content. 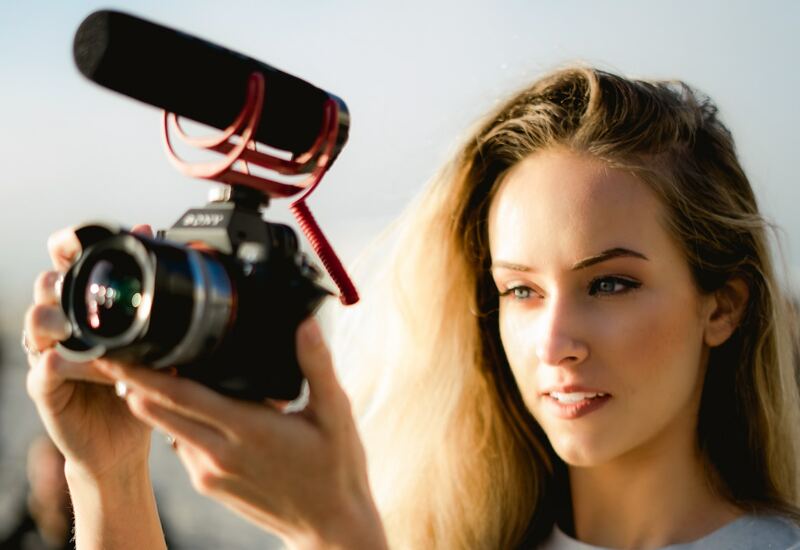 The best hook is to start your video with someone doing something, whether that be an action, talking directly to the camera, or having a conversation with someone else. Humans love to see other humans. When scanning the results of a search, people naturally look at the thumbnail to get a preview of what the video experience will be if they click through to watch. Make sure the image selected is not blurry, is related in some way to your title, and engaging. YouTube live video streaming is a great way to connect directly with your audience. Host giveaways, answer questions, or even conduct a live demonstration. Share your stream URL on your other social networks so that your audience knows when you'll be going live. Over time YouTube has added features to support creators. If you need some free unlicensed music, you can use their library of songs to add it to your video. Similarly they have added elements such as subscribe buttons, links, related videos etc to include over the top of your running video. These features help you to build your audience while they're engaging with your content. Want to grow your Pinterest audience too? Read our article, 5 New Ways To Promote Your Brand With Pinterest, to get tips and ideas for promoting your Pins and start engaging your Pinterest audience.